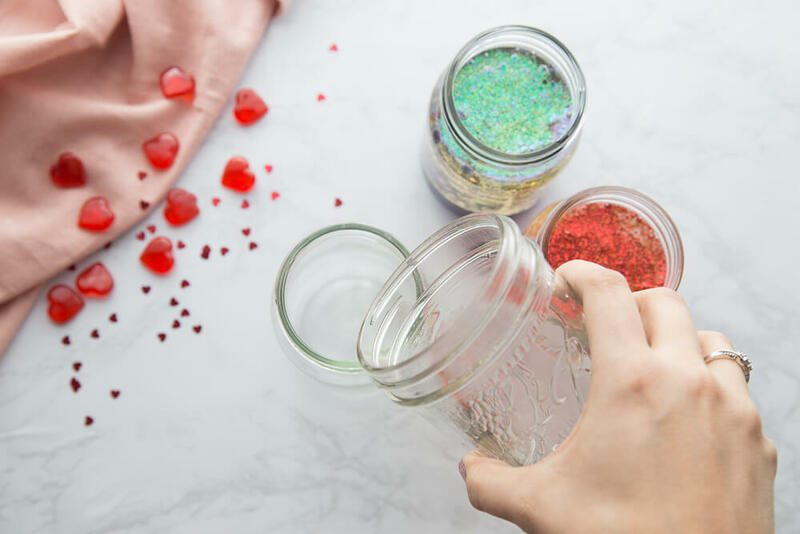 A homemade Valentines Day lava lamp is the perfect DIY science project for kids and you can easily add fun themes for the seasons or holidays. 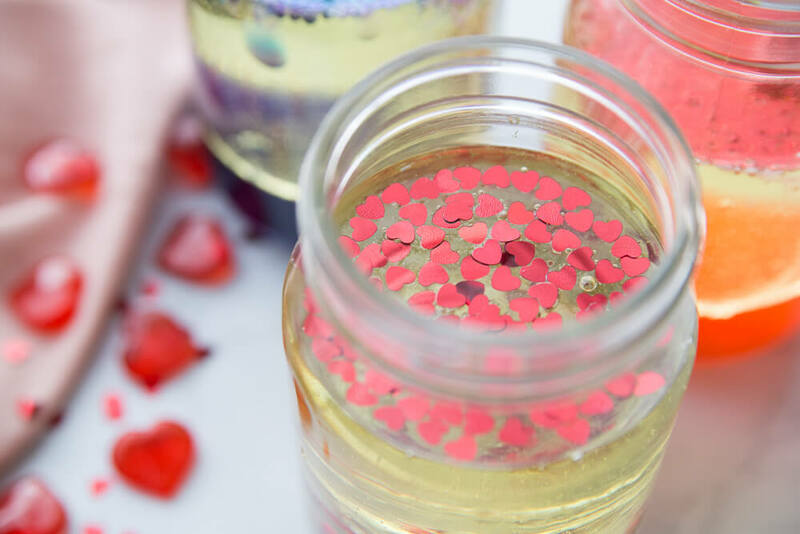 This Valentines Day theme DIY lava lamp idea is a great addition to your lesson plans or simple after-school science activity. Explore liquid density, molecular bonding, and more fizzy reactions. This is one of our most favorite science activities! 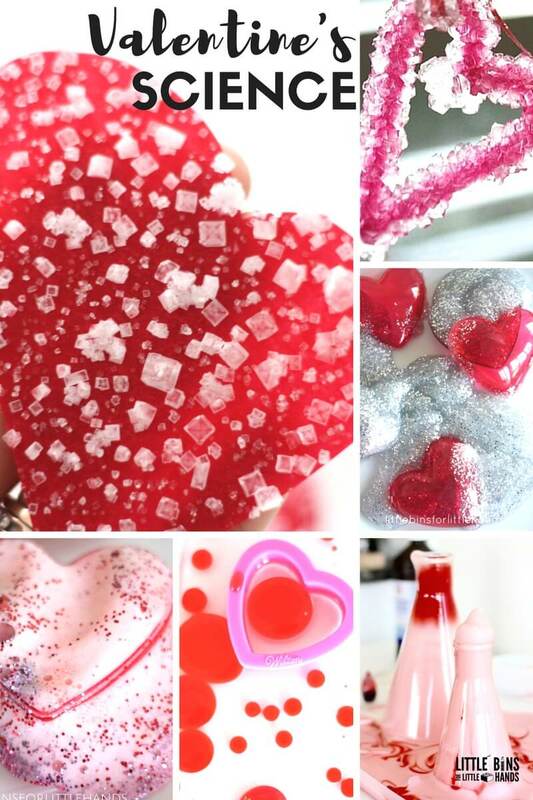 We came up with a very fun and fizzy theme this month, a homemade Valentines Day lava lamp experiment! You can grab basic supplies right out of the kitchen cabinet and create awesome, simple science activities the kids’ love! This Valentines heart theme lava lamp is just that! Simple, fun, and engaging for young kids and great for early childhood development. Who doesn’t like to mix up new things? 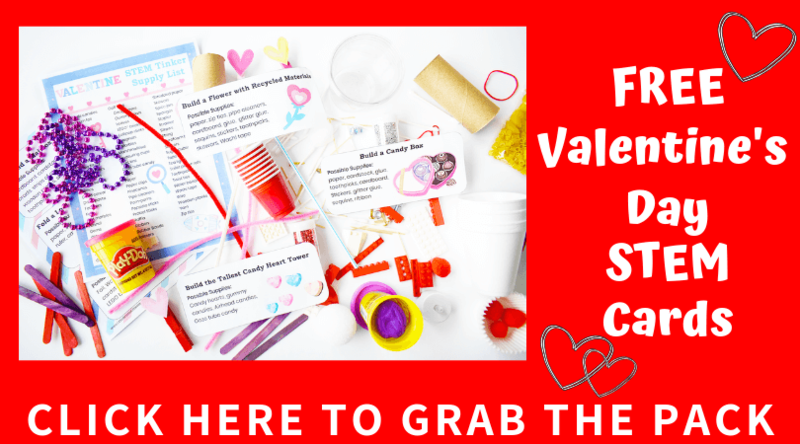 You and your kids can easily enjoy simple chemistry for Valentine’s Day! The kitchen is full of simple science with simple ingredients that are budget friendly. 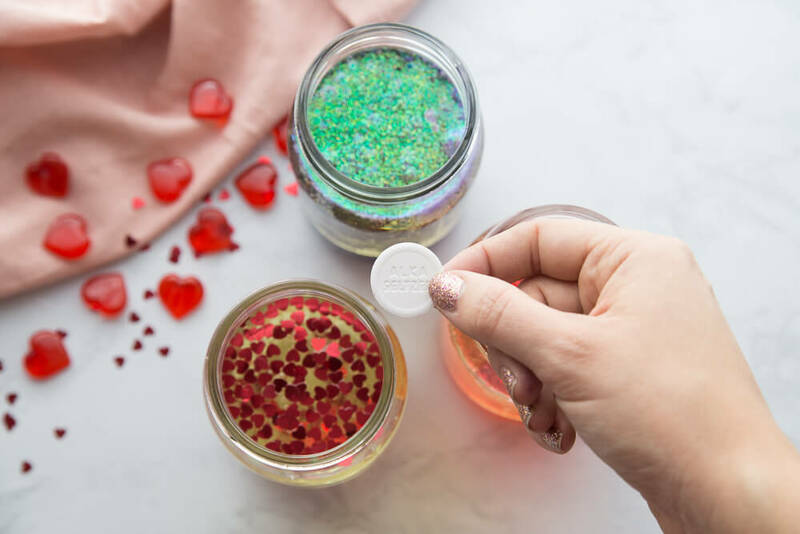 You might want to see this Valentine’s Baking Soda and Vinegar experiment while you are mixing up new substances in the kitchen. Fill your jar(s) about 2/3 of the way will oil. You can experiment with more and less and see which one gives the best results. Make sure to keep track of your results. This is a great way to turn a science activity into an experiment. How else you can you change up the activity? What if you didn’t add oil at all. What if you change the temperature of the water? Is there a difference between baby oil and cooking oil? Next, you want to fill your jar(s) the rest of the way with water. These steps are great for helping your kids hone their fine motor skills and learn about approximate measurements. We eyeballed our liquids, but you can actually measure out your liquids. Make sure to observe the oil and water in your jars. Have you ever made a DENSITY TOWER? Add drops of food coloring to your oil and water and watch what happens. You can also sprinkle in glitter and confetti. However, you don’t want to mix the colors into the liquids. It’s ok if you do, but I love how the chemical reaction looks if you don’t mix them! 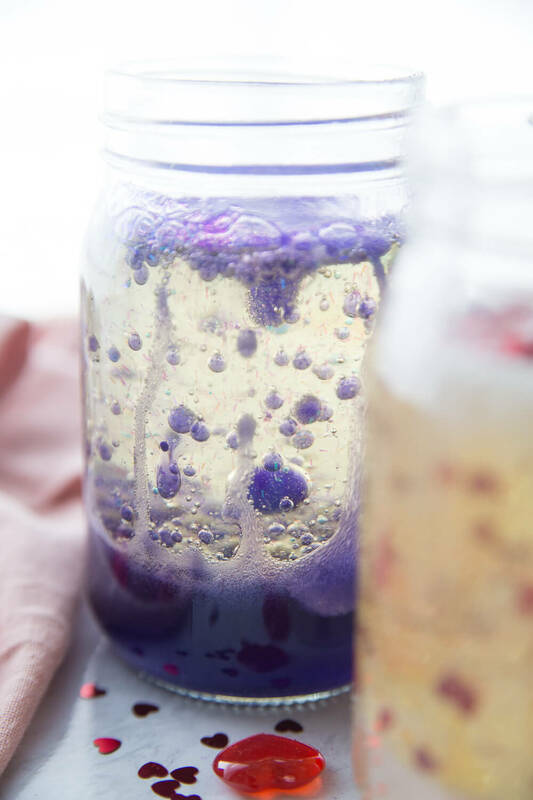 Now it’s time for the grand finale of your homemade lava lamp activity! It’s time to drop in a tablet of Alka Seltzer or it’s generic equivalent. Make sure to watch closely as the magic starts to happen! Notice the tablet is heavy so that sinks all the way to the bottom. You may have already observed that water is also heavier than the cooking oil. However, liquids have different viscosities or thicknesses. Does the oil pour differently than the water? What do you notice about the food coloring drops you added to the oil/water? Think about the viscosity of other liquids you use. 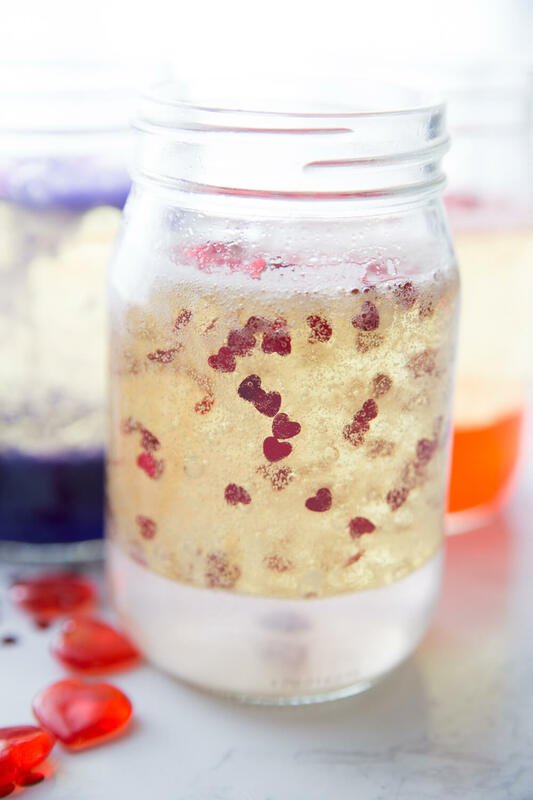 FUN VALENTINES HOMEMADE LAVA LAMP!